Los Angeles really has not made up its mind on what season it wants to be in. One minute it is Fall-like weather with temperatures into the low 60s and the next minute it feels like Summer with 80 degree weather. While I’m not complaining about the warmer temps, it does make it somewhat difficult when all stores are marked with heavy fabrics, sweaters, and other Fall garments. So as a result, I have to be a little creative in combining functionality with this season’s style. My solution: stick with a Fall color palette. I chose this deep tan sleeveless sweater as my base garment. The earth tone of the sweater is obviously right on par with the season while giving me the breathability that I need. I stuck with the same hues throughout and gave a hint of print with my leopard print pumps. 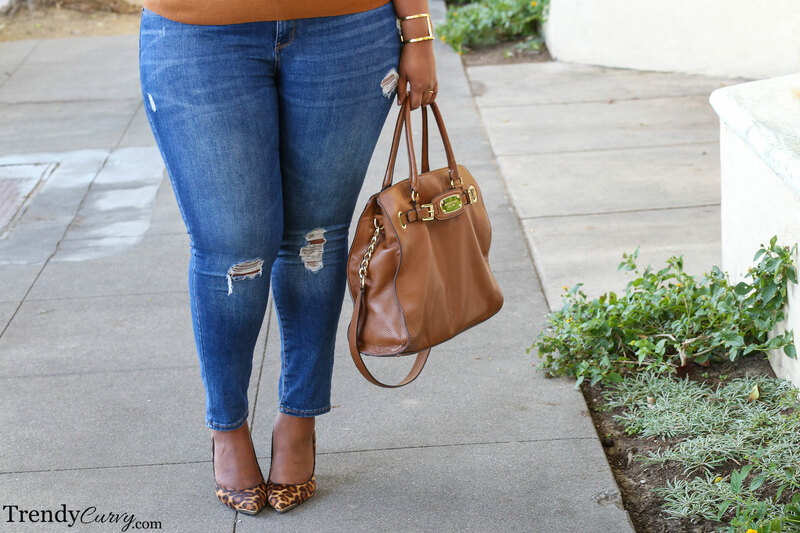 This is Fall Style the Cali way! Super Great look of yours! ! …W the Fall Style the Cali way! What an amazing outfit, so beautiful. Tan looks great on you, love the leopard with it too!